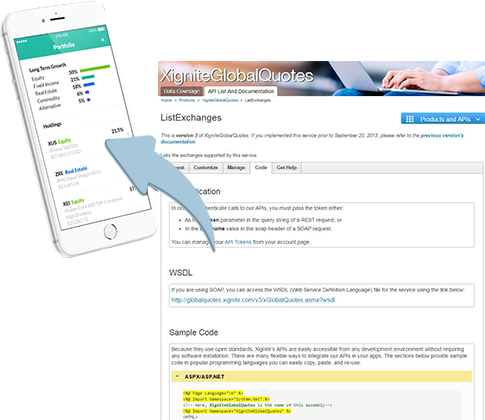 If you are a developer looking to deliver real-time or reference market data to your digital assets, such as websites and apps - sign up to test an Xignite Market Data API free for one week. Our market data APIs return data in XML, JSON or CSV formats and can be accessed with a single web request over HTTP. We have both REST and SOAP APIs. We found Xignite's APIs to be very easy to work with and implement, offering multiple data formats. We've also discovered that as StockTwits expands internationally, Xignite's broad global coverage means that adding international market data is a simple and straightforward proposition." © All Rights Reserved - Xignite, Inc.